1) Be strategic about the timing. Link your free promo to an event like Mardi Gras, the Daytona 500, Pi Day or whatever makes sense for your book and genre. 2) Give yourself ample promotion time. Set the dates a month or more in advance so you can pitch your promotion to free book sites. 3) Advertise it. 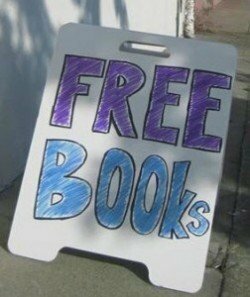 It seems counter-intuitive to spend money to give your book away for free, right? But you’re getting your name and your brand out there and people have a hard time resisting free stuff. 4) Make sure your free book includes: A list of other books you’ve written, a sample of another book, links to find you on social media, your website, your author page, a subscription link to your newsletter. 5) Don’t do free promotions too frequently. If readers know you give away books every three months like clockwork, no one will actually pay for it; they’ll just wait until the next promo.